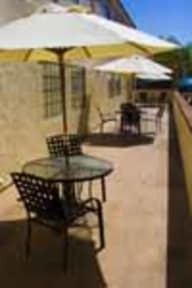 Hotel is located in Old Town, Close to all major San Diego attractions. Walk out to explore over 150 international shops and art gallery that surround the birthplace of California. The trolley line is just a 5 minute walk from the hotel. 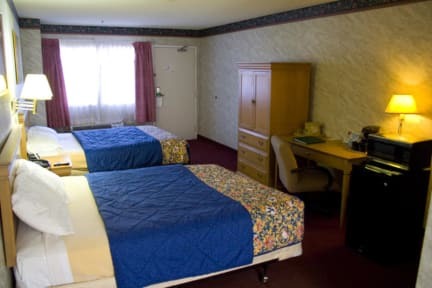 After a day of sightseeing and fun, relax in spacious accommodations at Western Inn. You can watch a movie or check your email using our complimentary high-speed Internet access, included with every room. If youre on a tight schedule, convenient hotel amenities like our on-site car rental service and dry cleaning are great timesavers. The Western Inn suite hotel in San Diego features the best in business and pleasure just steps from your room! Our reasonable rates make a trip to Old Town affordable for the whole family. And all guests can start their day with a continental breakfast, compliments of Western Inn. All rooms come with 1 King bed or 2 Double beds.